Whether you want to buy or sell a house in Ontario and GTA, you must determine the state of the house before anything else. Sure, the location and the size of the house are important, but for a seller, a good-looking house could bring more money, while for a buyer, the state of the house determines how much money does he need to spend after buying it. Let’s look at the 3 parts of the Ontario and see what the specifics are. If we go North we can see that it is one of the hottest markets. Most of the buyers here are looking for homes for sale in Newmarket as that is very hot real estate market at the moment. 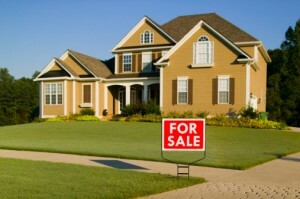 Since most of people are looking for detached home, lets go through a buying process first. A buyer would enter through the front door, and the first impression is the one that makes the decision. The house must be clean, and if it is possible, try to call the visitors when the sun is up in the sky. This way, the rooms would shine and the possibility of selling it for a good price increases. The lights must work, and a layer of fresh paint would give a new aspect. Make sure that there are not unpleasant odors in the house, as this ruins the mood of any buyer. The air ducts must also be cleaned. A buyer would probably check the air conditioning, and if this is not clean, it might smell unpleasantly, especially if the installation has not been used for a long time. Now lets look West. Here lies the more elder area of Ontario and people are mostly looking to buy a house in Oakville or Mississauga. The most important parts of an older home are the kitchen and the bathroom, especially if the house is visited by families with children. Moreover, the quality of floors is determining. See if there are any loose boards or missing nails. Check if the doors can be opened and shut properly. The same verifications must be made for the windows. Try to remove the furniture from the house, but leave the most interesting elements. This way, the buyer is able to imagine how his furniture would look like. It is important to create an impression of space. Check the sinks, the oven and any other appliance. Sure, the buyer might have those, but it is important to make sure that the ones that are already there are working. Maybe the buyer does not have the time to buy those, so he might want to buy the appliances also. For this, you need to make sure that those function as they should. Remove personal items. Don’t think that a photo of your family would change the atmosphere. The buyer would want to imagine his family photos around, so yours might be an obstacle. Besides this, allow the buyer to see every room, and always be supportive. If you don’t allow him to see the cellar or a room, he might get suspicious. Finally let’s look East where the majority of the buildings are fully detached houses. So if you are looking at homes for sale in Whitby or Oshawa you must not forget about the basement and the yard. Those must also be clean and tidy. Make sure that there are no running pipes and mold in the basement. In the yard, trim all the bushes and remove the roots. If there are tiles or stones missing from pathways, and replace those. For a seller, all those might mean a financial effort, but only this way, you will be able to sell the house for a good price. You can be sure that every thousand of dollars spent for those will bring you two thousands at the selling price.